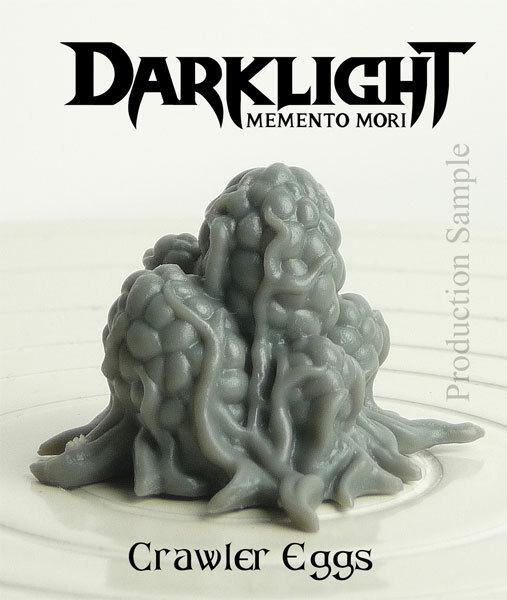 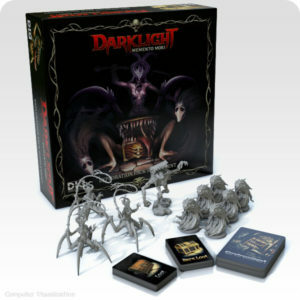 This box contains all you need to play Darklight: Memento Mori. 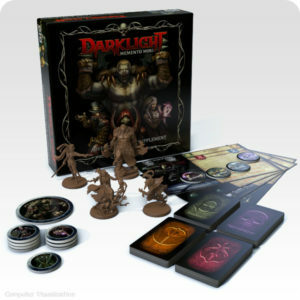 Inspired by the greatest titles of the ‘80s and ‘90s, Darklight is a truly classic Dungeon Crawling experience. 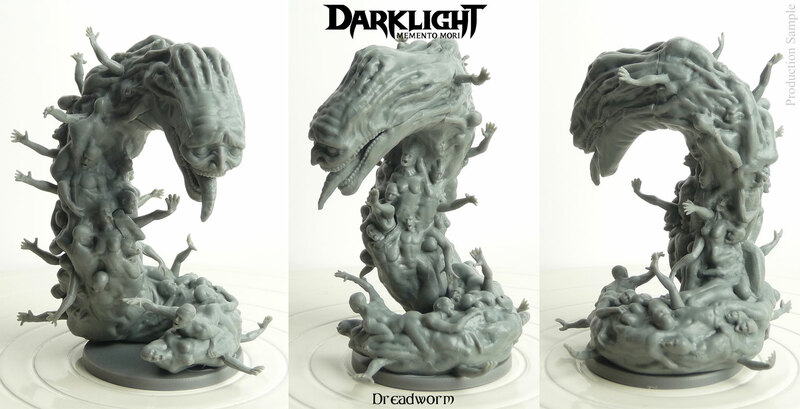 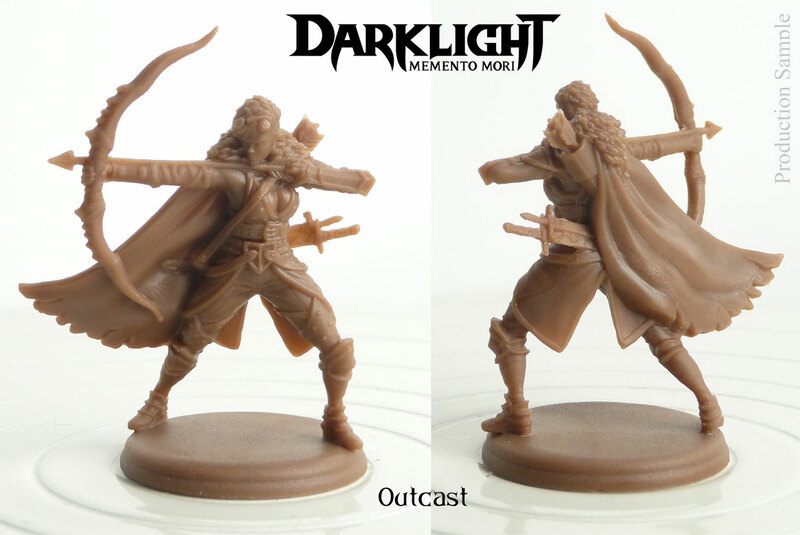 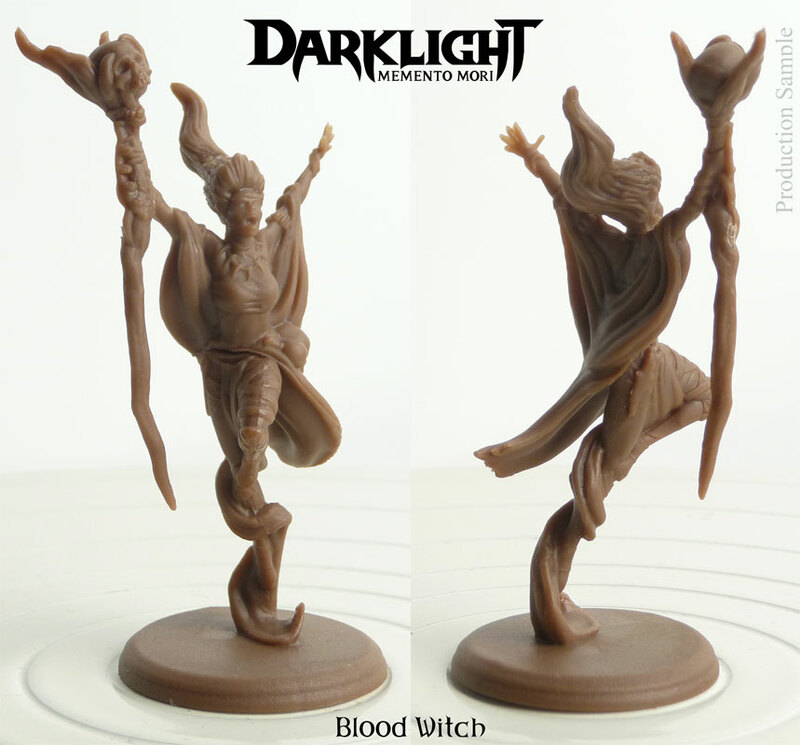 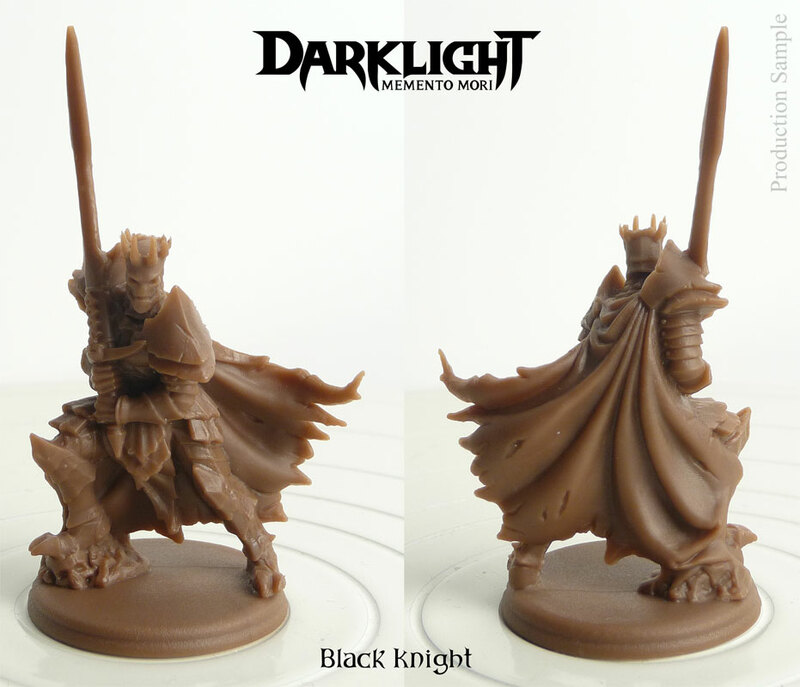 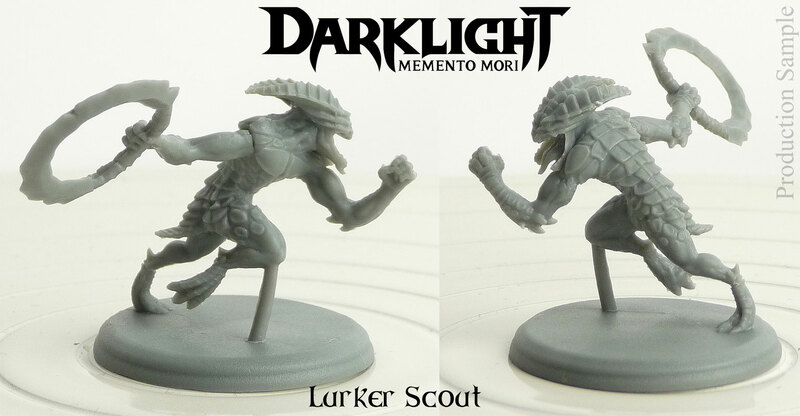 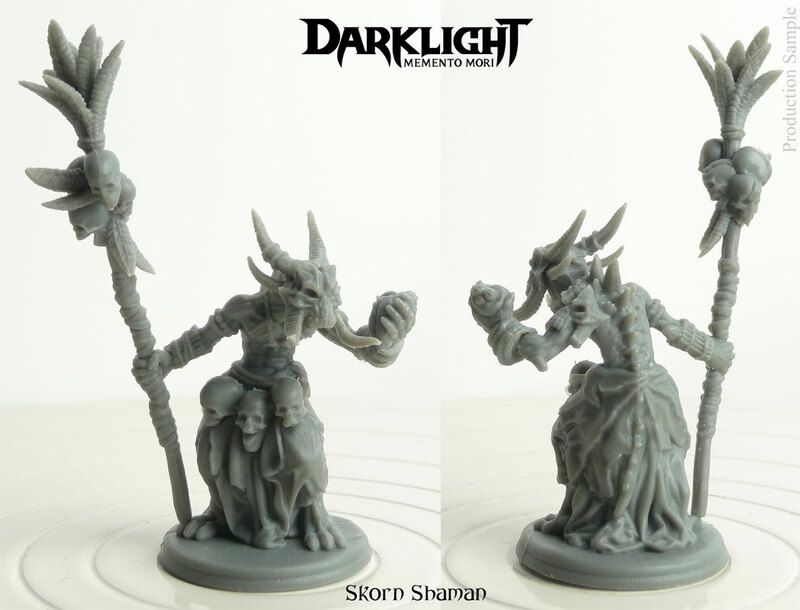 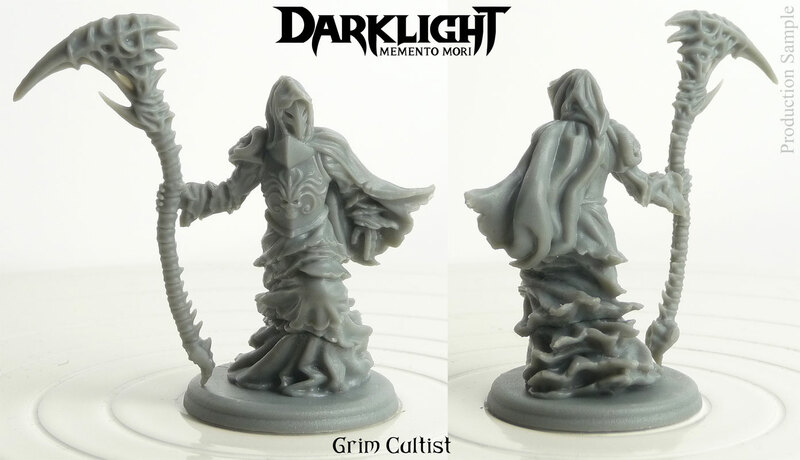 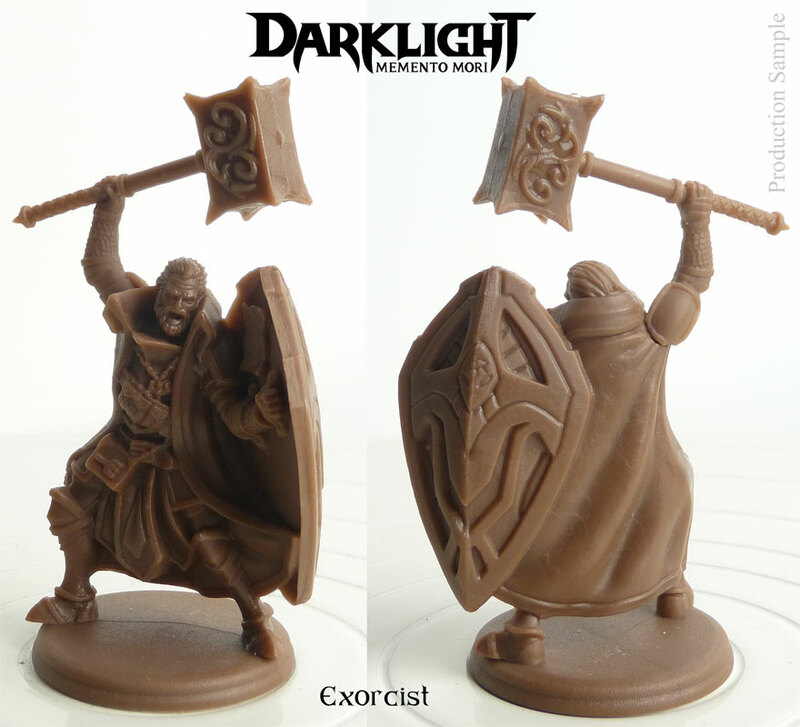 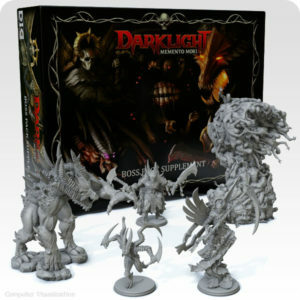 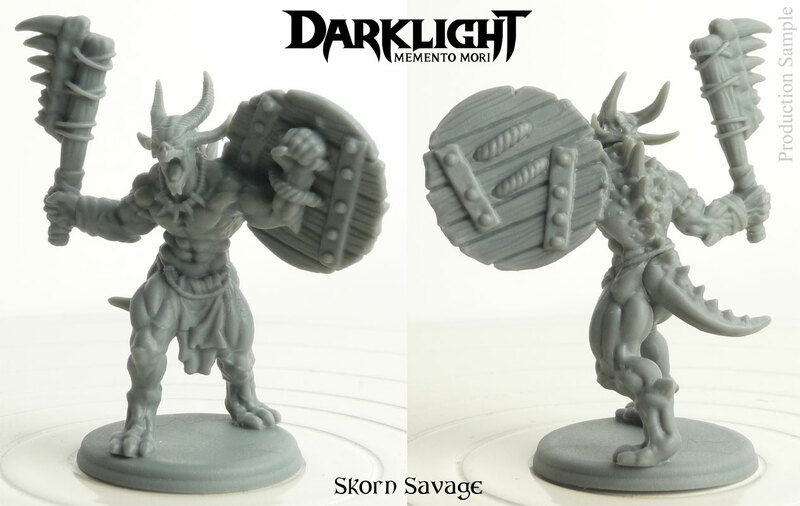 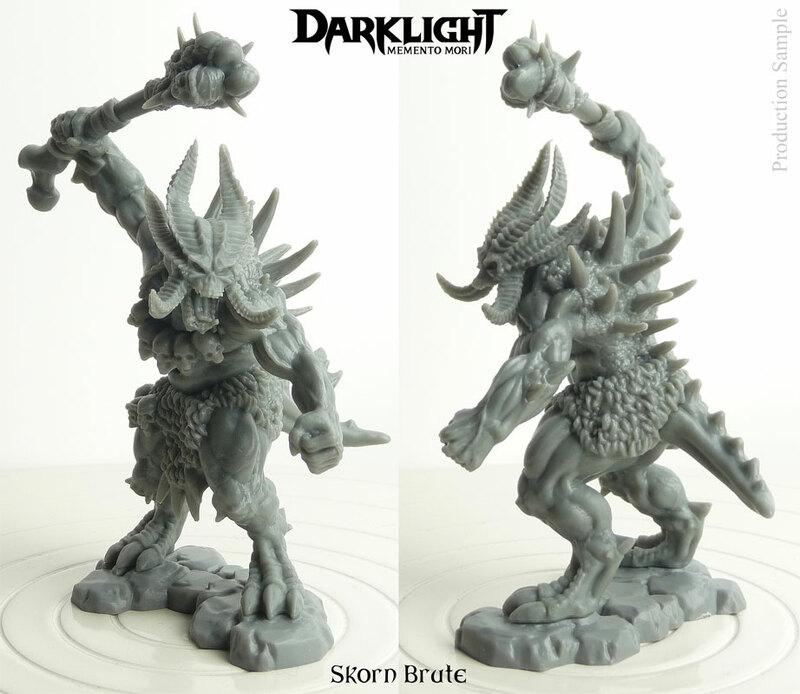 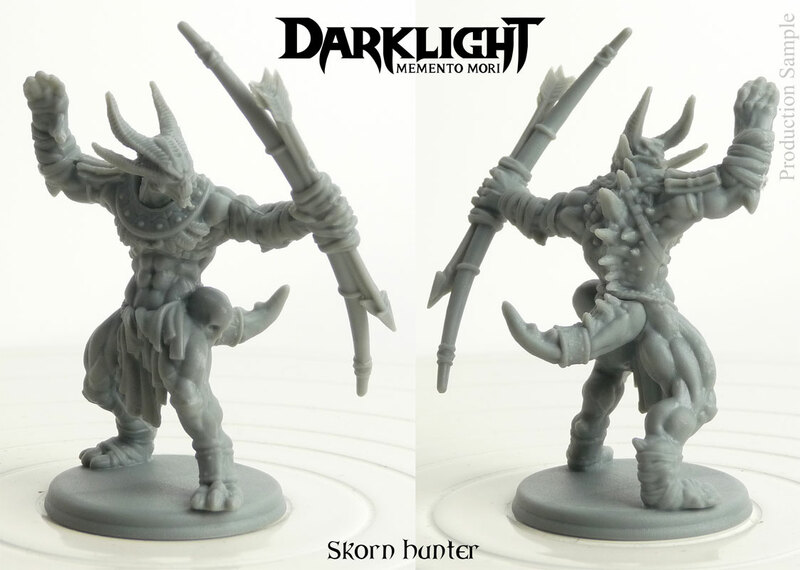 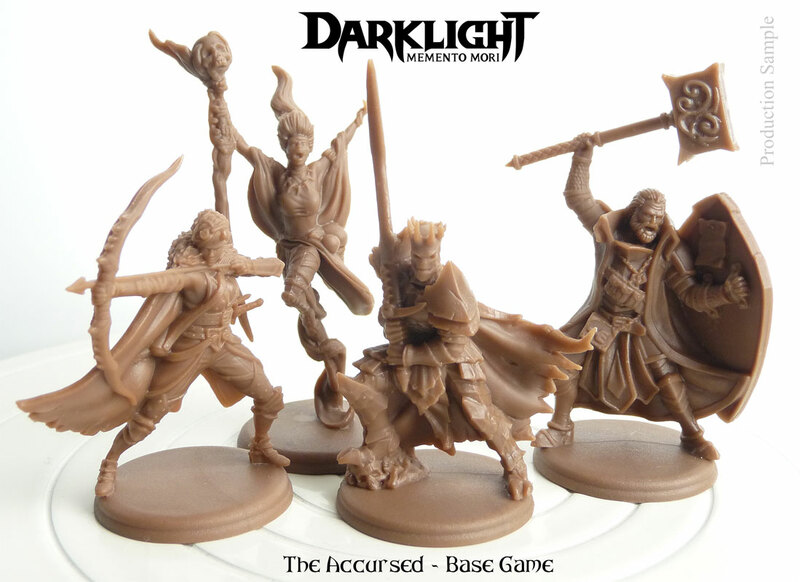 Packed with over 80 pre-assembled plastic miniatures, Darklight features cooperative and challenging gameplay for 1 to 4 players. 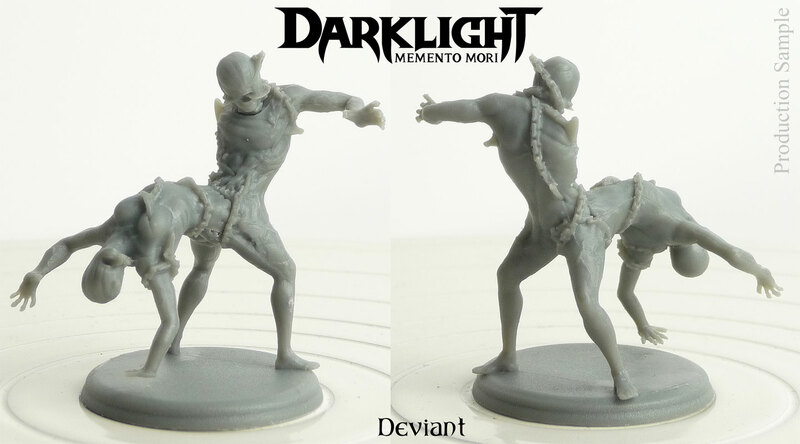 Each player becomes an Accursed, a warrior fighting desperately for survival against all odds to keep hold of their own soul. 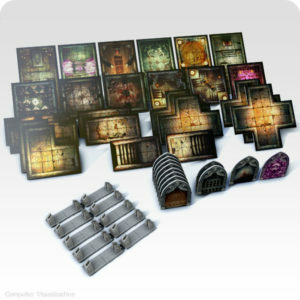 You will delve deep into claustrophobic dungeons packed with horrors and large hoards of loot, while developing your character with a rich and flexible system designed to let you play the way that suits you best. 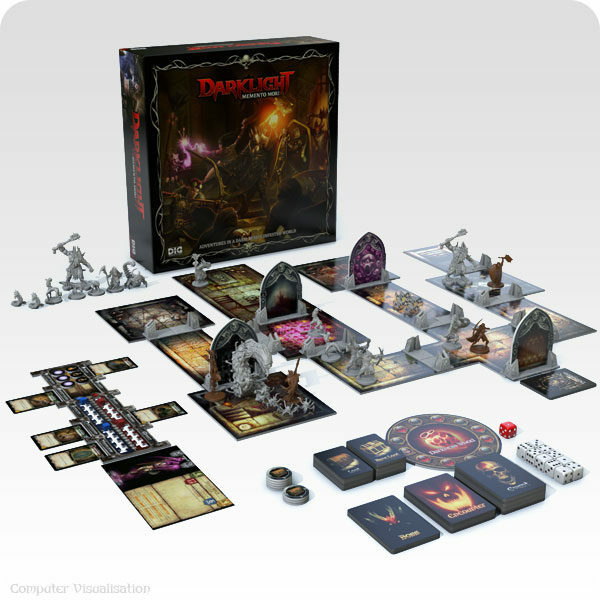 Use the Advanced Rules to experience life outside the darkness of the dungeons, where you can explore towns and build a reputation for yourself while enduring a world devastated by a demonic apocalypse.